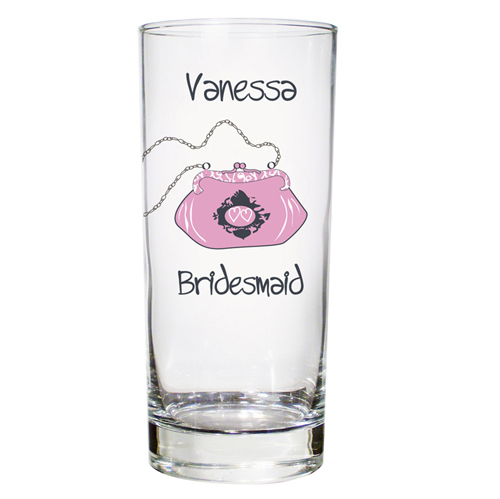 This cute wedding hi-ball glass makes the perfect personalised gift for any young female member of your wedding party! This hi-ball glass features a cute handbag design and can be personalised with any name above the handbag up to 15 characters and role below the handbag up to 25 characters. Personalise with any name above the handbag up to 15 characters and role below the handbag up to 25 characters.